I wanted to share this infographic because of the good balance it has in showing the abilities important for an online marketer to be able to implement paid search strategies correctly. In my view, I personally wouldn’t recommend any specialist to go the way of exclusively becoming an expert in Google AdWords. AdWords is but one route of an overall paid search strategy. 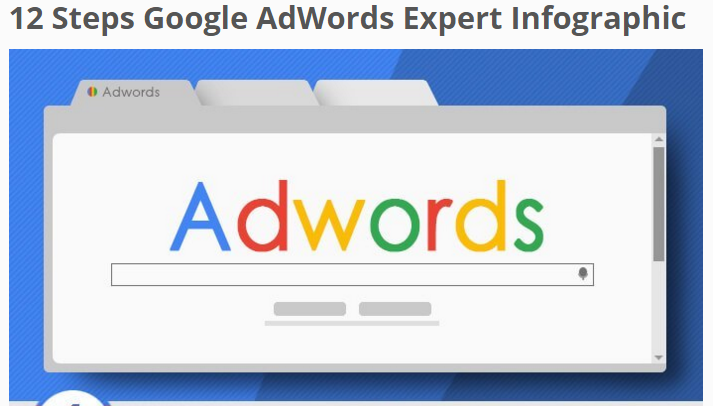 You have to be working to become a Google AdWords Expert with this knowledge– along with understanding how it fits into a company’s overall paid search strategy. PremiumitSolutions share their tips on how to become an AdWords Expert in the infographic below. The Google Disavow Tool was introduced on Tuesday, October 16, 2012. By this tool which allow the webmasters to create a text file containing Url’s which they deem harming their Google rankings and it allows webmaster to upload this file containing these Url’s so that Google can remove them from your back-link profile and also take those suggestion within that file into consideration for when they rank the keywords your website maybe targeting. Now some of them may you know jump at you as to, you know what, I didn’t create this backlink and it is definitely not form related theme or niche, and it is spam. Meaning, let’s say you’ve got and online business that’s focused in selling’s kids toys for example, and if you got backlinks you know plenty of them, and you didn’t create, and it comes from perhaps adult sites, and surely we can then perhaps say that’s a spam ok, that’s a spam link coming pointing back to your website, which surely will hurt your Google Ranking. 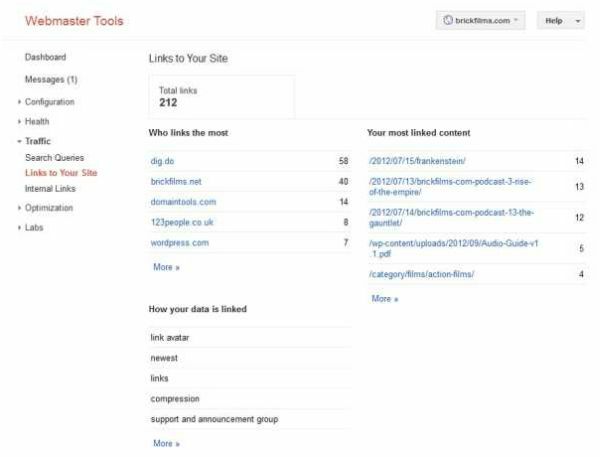 But please take Google advice as to be very cautious, when you start creating this file and suggesting Urls because there are many factors that go into determining spam as far as backlink and websites and this stuff is concerned, so a lot of thought must be given before you start using this tool. Now the text file that you should create simply you can name it anything you want as long as you have the file extension dot text. So that you do is simply determine the backlinks which you deem and you are hundred percent sites its spam. Once you that, the text file are very simple open your notepad up and simply create it. Now if you put a hash tag and whatever comes afterwards on that line is considered as a comment. Therefore that is ignored for the tool itself, but surely it’s good for your own reference but also people who will see that file, people form Google when they look at that they say hmm. You know what there a comment there is for us to read further information. Because Google wants to make their own life easy because they know a lot of people will be creating file and sending it to them. And if they made a promise and if they made a tool available, then they have to take care of that side, because they are in customer business. 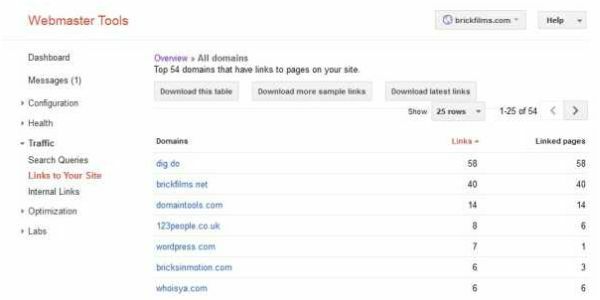 Video – Matt Cutts On What Are The Most Common Mistakes You See From People Using The “Disavow Links” Tool? Therefore they want you to take the actions first, most often that may resolve the issue. But if not, then this tool for it. And the keywords there domain colon and whatever domain that you have identified as spam, so if you were to you know use this option and this keywords, domain colon and whatever the URL, that basically saying ok you know what, I got one thousand links coming from this spam website and I want every single one of them to be ignore including the deeper links, so the whole domain will be ignored here. And on this example here, you can if you choose select individual pages from a specific domain, so you can choose that option as well, so it gives you and ability to you know if you got one thousand links creating a file with one thousand links on it is not smart, because if you around say you know what I got one thousand links coming from this particular domain, then perhaps you know disallowing the whole domain entirely is a better option. So, but before you head out to this link to suggest that file to Google Disavow Tool, please bear in mind that this tool is like a loaded gun given to a child, meaning, not everyone will be able to determine what a backlinks whit no value is, there is a lot of webmaster out there, as you can see, there is comment that I got from Google blog itself, it’s saying thank you Google, for making this great Disavow Tool available for us. Because now we can disavow links coming from some articles websites and so on. You know something it may be easy to determine a spam link, but if it’s coming from like what I said, like adult site to website that who sells kids, surely there is major conflict there, so therefore anyone can say, you know what, I don’t really wan backlinks coming from adult site when I’m selling kids and so on. But when we start looking at this example, you know when I look at it, I know for affect there is misinformation here. And I know in my heart whoever wrote this comment, is making a fatal mistake when they use this tool, because especially when it comes to article, you know if you created articles that has value to your created articles that has value to your potential customer, and if some article directory took the time to publish that article on their site that may not be spam. Now if you know in your heart of hearts and if you worked with seo services provider who didn’t follow Google Guidelines, and if they turned around created articles that is spammy, and has no customer value to the reader, then this example may be ok. But what I’m saying is it takes a lot of ranking factors in determining spam, there are so many factors actually, and so it’s not easy for the untrained eye to determine what backlink with no vale in this example is. A lot of people who go to official blog of Google and see stuff like that, they may turn around and use tool at their will. So be very very very thoughtful, get another opinions and who follows Google Guidelines and understand this stuff, that’s my best advice to you.